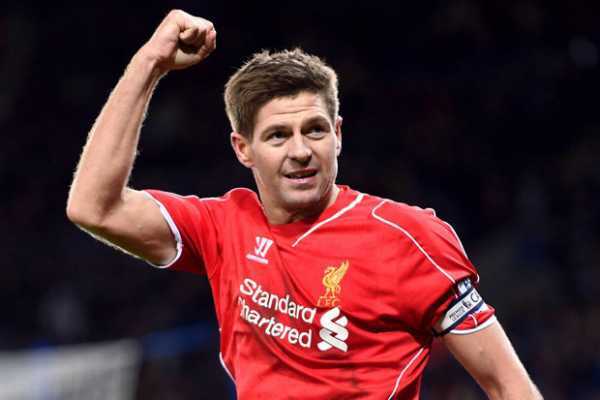 Former Liverpool midfielder Steven Gerrard has backed the club’s bid for a first Premier League title. According to the Liverpool legend, he would be the happiest man if the Reds manage to pip Manchester City to the Premier League title. Both Liverpool and Manchester City are going head-to-head for the Premier League title. Steven Gerrard is the manager of Scottish Premiership giants Rangers at the moment, having been appointed to the role at the start of the current season. The former Reds skipper spoke about Liverpool and the title bid shortly after he scored the winning goal for the Liverpool legends in their 3-2 win over AC Milan legends on Saturday. Steven Gerrard addressed the Liverpool supporters after the game. The ex-Three Lions of England captain almost captained the Reds to their first Premier League title during the 2013/14 season only for his slip to prove costly during the game with Chelsea. The 2-0 loss to Chelsea at home paved the way for Manchester City to overtake Liverpool to win the league title at the end of that season. Liverpool defeated Fulham 2-1 in their last game in the Premier League to secure a two-point lead over title rivals Manchester City who have played a game less. The Reds have seven league games to go while Manchester City have eight games to play in the Premier League. Exciting News For Arsenal Fans, Liverpool Legend Projects Top Finishing!